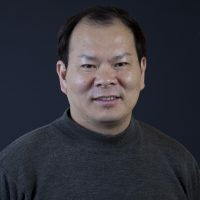 Dr. Guangyu Wang’s research interests include sustainable forest management and integrated watershed management, specifically using computer modelling applications. He has completed several research projects on watershed-scale forest restoration and sustainable development projects, wherein he used system dynamic approaches, bioregional assessments and geographic information systems techniques to analyze the mechanisms of ecosystem degradation and model broad land use management. One of his major research focuses involves examining Chinese forest management practices, where he has been able to develop novel management plans and sustainable management models for Chinese forests. Furthermore, Dr. Wang is currently involved in serval researches related to climate change, forest adaptation and carbon market mechanism. As a previous business professional, Dr. Wang is also interested in the strategic planning and financial management of natural resources, in addition to the public perception and implementation efficiency of land use change policies. Climate change is one of the most important threats to the capacity of forest landscapes to provide ecological, economic and social services in the Asia-Pacific region. Meanwhile, the potential of forests to mitigate climate change represents a major opportunity for the forest sector, as forest ecosystems can either serve as a carbon sink or carbon source depending on their level of health and their resilience to climate change. There is remarkably little evidence that science-based decision-making processes are being incorporated into forest management practices in the Asia-Pacific region. As a result, considerable uncertainty exists over management policies aimed at enabling forests and forest-dependent communities to adapt to climate change. The goal of this project is to address this uncertainty and help forest managers and policy makers to develop effective management strategies to maintain resilient forest ecosystems for adaptation to climate change. Phase 1 of the project was implemented from November 1, 2011 to October 31, 2014. All research and associated activities have been completed and some have exceeded the original objectives, including the publishing or submission of 28 papers in scientific peer-reviewed journals. Phase 2 of the project is currently in progress, with an expected completion date of December 31, 2018. China, being the largest greenhouse gas emitting country in the world, has been working tirelessly to reduce emissions by taking direct action through the adaptation of policy and promoting energy conservation. Emissions trading has become an important part of policy to reach emission reduction goals in China. In October of 2011, the National Development and Reform Commission (NDRC) approved pilot projects of emissions trading rights in Beijing, Tianjin, Shanghai, Chongqing, Hubei, Guangdong, and Shenzhen provinces. In accordance with the U.S.-China Joint Presidential Statement on Climate Change in October 2015, there are plans to launch a nationwide emissions trading system in 2017 in China. This system will cover steel, chemical, building materials, paper, electricity, non-ferrous metals, and other heavy metal industries in order to reach an emissions peak by 2030 (Wang, 2015). In order for China to achieve their promised emissions peak by 2030, transition to low-carbon economic growth and green development is a necessity. Plans to launch a nationwide emissions trading system in 2017 will create the world’s largest emissions trading market. Understanding the existing foreign emissions trading markets and rules is necessary to establishing a Chinese carbon market. Forestry will be a main source of future carbon sinks while being important for domestic and international trading. The inclusion of forestry carbon sequestration, and the rules and market docking that apply, requires more research to be a part of the carbon market in order to establish a unified market in China. P Wu, G Wang, YA El-Kassaby, P Wang, X Zou, X Ma. (2017). Solubilization of aluminum-bound phosphorus by root cell walls: evidence from Chinese fir, Cunninghamia lanceolata (Lamb.) Hook. Can J For Res 47:419–423. Guo, F., Su, Z., Tigabu, M., Yang, X., Lin, F., Liang, H., Wang, G.Y (2017). Spatial Modelling of Fire Drivers in Urban-Forest Ecosystems in China. Forests 2017, 8, 180 doi:10.3390/f8060180. Wang, G.Y, Mang, S., Cai, H., Innes, J.L., Liu, S., Zhang, Z. (2016). Integrated watershed management: evolution, development and emerging trends Journal of Forestry Research 27(5), 967–994. Kang, H., Seely, B., Wang, G.Y., Innes, J.L., Zheng, D., Chen, P., Li, Q. (2016). Evaluating management tradeoffs between economic fiber production and other ecosystem services in a Chinese-fir dominated forest plantation in Fujian Province Science of The Total Environment 557–558, 80 –90. Guo, F., Selvalakshmi, S., Lin, F., Wang, G.Y., Wang, W., Su, Z., Liu, A. (2016). Geospatial information on geographical and human factors improved anthropogenic fire occurrence modeling in the Chinese boreal forest. Canadian Journal of Forest Research 46(4), 582–594. Zhang, L., Liu, S., Sun, P., Wang, T., Wang, G.Y., Wang, L., Zhang, X. (2016). Using DEM to predict Abies faxoniana and Quercus aquifolioides distributions in the upstream catchment basin of the Min River in southwest China. Ecological Indicators 69, 91–99. Guo, F.T., Wang, G.Y., Ma, Z.H., Innes, J.L., Ma, X.Q. (2016). Comparison of six generalized linear models for modeling the occurrence of lightning-induced fires in Northern Daxing’an Mountains, China Journal of Forestry Research 27, 379 –388. Guo, F., Su, Z., Wang, G.Y., Sun, L., Lin, F., Liu, A. (2016). Wildfire ignition in the forests of southeast china: Identifying drivers and spatial distribution to predict wildfire likelihood. Applied Geography 66, 12–21. Guo, F., Wang, G.Y., Su, Z., Liang, H., Wang, W., Lin, F., Liu, A. (2016). What drives forest fire in Fujian, China? Evidence from logistic regression and Random Forests International Journal of Wildland Fire 25(5), 505–519. Wang, G.Y., Wang, T., Kang, H., Mang, S., Riehl, B., Seely, B., Innes, J.L. (2016). Adaptation of Asia-Pacific forests to climate change. Journal of Forestry Research 27(3), 469–488. Wang, T., Wang, G.Y., Innes, J.L., Nitschke, C.R., Kang, K. (2016). Climatic niche models and their consensus projections for future climates for four major forest tree species in the Asia-Pacific region. Forest Ecology and Management 360, 357–366. Lu, Y., Coops, N.C., Wang, T., Wang, G.Y. (2015). A process-based approach to estimate Chinese Fir (Cunninghamia lanceolata) distribution and productivity in southern China under climate change Forests 6(2), 360–379. Guo, F.T., Su, Z.W., Wang, G.Y., Wang, Q, Sun, L., Yang, T. (2015). Prediction model of human-caused fire occurrence in the boreal forest of northern China Chinese Journal of Applied Ecology 26(7), 2099 –2106. Wang, G.Y., Mang, S., Krzyzanowski, J., Guo, F., Wang, T., Riehl, B., Kang, H., Li, Q., Innes, J.L. (2015). Climate change and forest adaptation in the Asia-Pacific Journal of Geographical Research 63: 73-109. Wang, J, Tang, D, Wang, G.Y. (2014). Comparison and revelation on correlations of forestry development with forestry higher education between China and USA World Forestry Research. DOI:10.13348/j.cnki.sjlyyj.2014.01.015. Lin, W.X., Huang, Y.R., Wang, G.Y., Hong C.F. (2014). Fractal study on soil structure of mixed forest of Cunninghamia lanceolata in Jiulong River Watershed Journal of Biomathematics 2014-02, 283-290. Wang, G.Y., Innes, J.L., Dai, S.Y., He, G.H. (2008). Achieving sustainable rural development in Southern China: the contribution of bamboo forestry The International Journal of Sustainable Development and World Ecology 15, 484–495. Wang, G.Y. (2003). Study on water conservation and soil properties of Chinese fir mixed stands Scientia Silvae Sinica 39(Spl), 15–20.